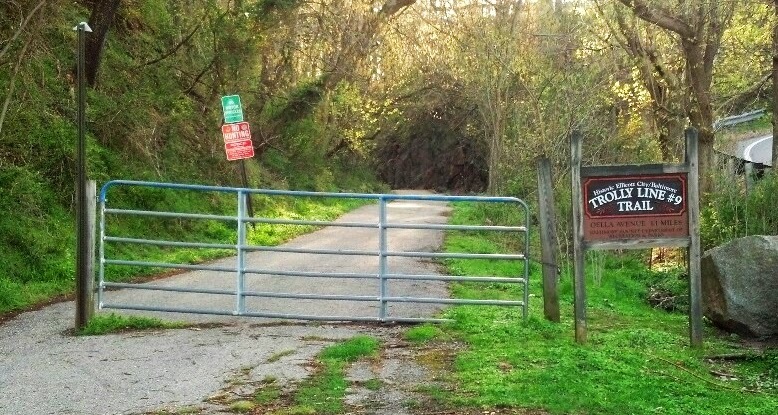 If you have been a reader of this blog you know how big a fan I am of the Patuxent River Trail that goes from Lake Elkhorn to all the way to Vollmerhausen Rd. 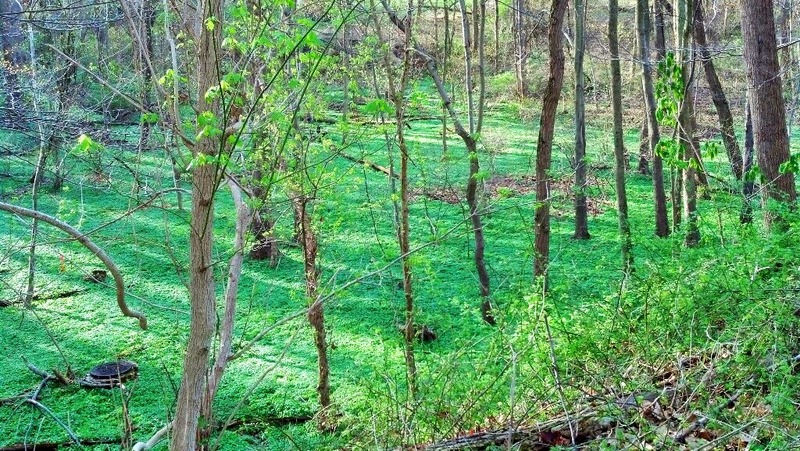 This trail at this time of the year is covered with a lush green carpet. 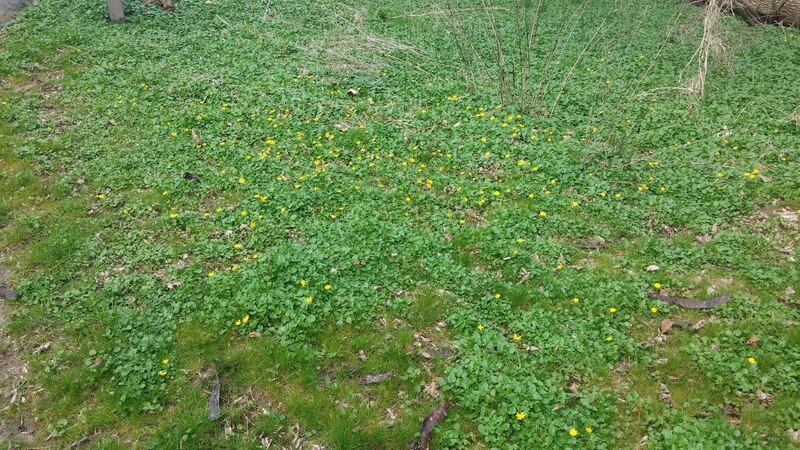 These plants have tiny yellow flowers that open up during our warmer days. For the past few years there has been interest in extending this trail on the other side of the river through the Allview neighborhood to Lake Kittamaqundi. 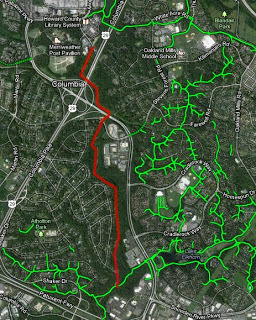 This extension would create a pathway system of almost 9 miles without crossing one road.
" 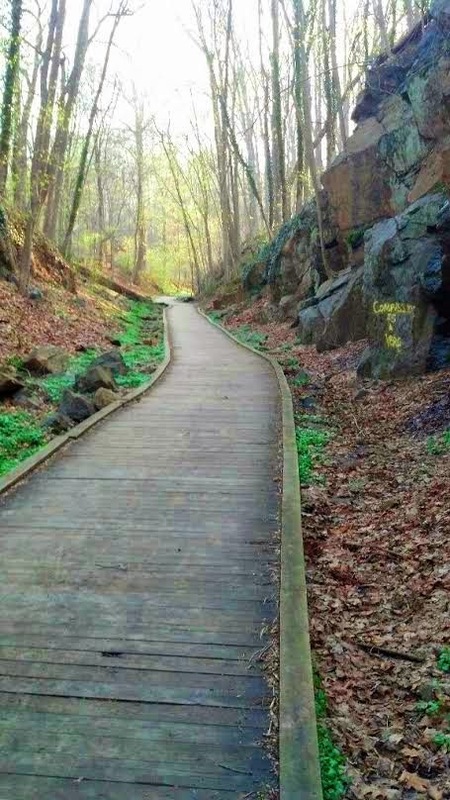 But proponents diverged on a proposed amendment to slash a central pathway along Little Patuxent River next to the Allview community in Columbia and replace it with a path on Broken Land Parkway. 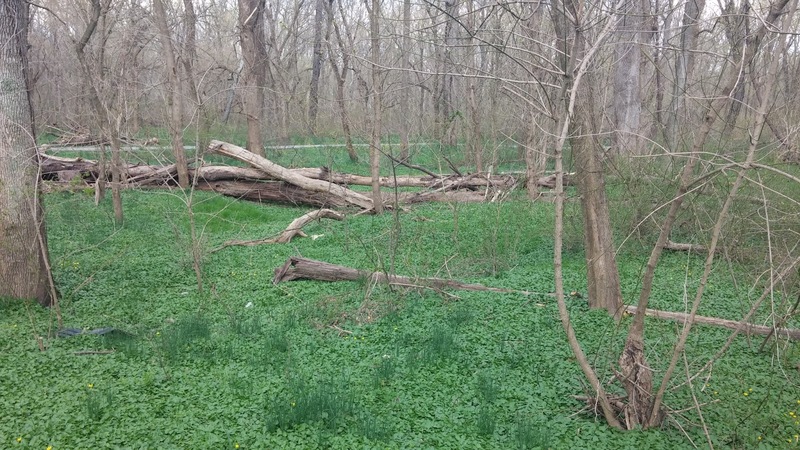 Citing steep banks and flooding concerns, Columbia resident Michael Compson said the path along the river would be especially dangerous for children and dramatically change the "secluded" and "quiet" character of the neighborhood. 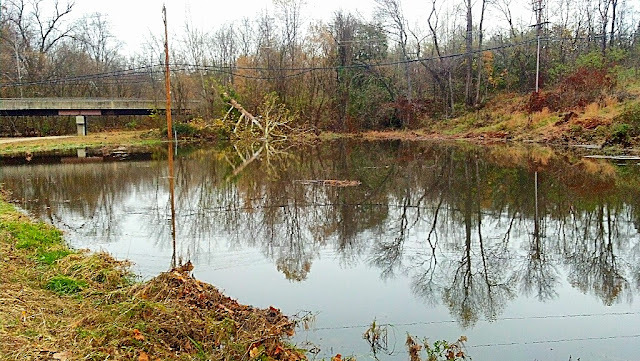 "Whenever the river comes up… it's just a mess," Compson said. "People don't live back here but if it's a flash flood [the water] can come up within an hour." 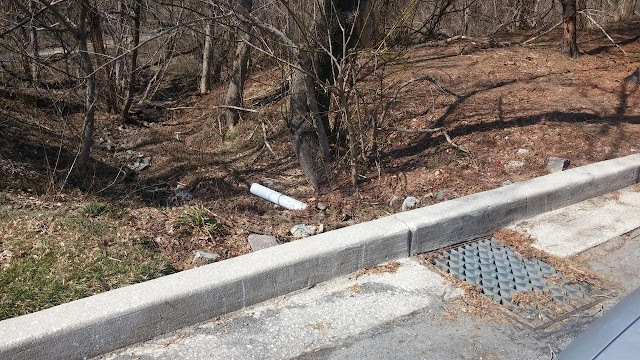 Despite Compson's objections, Allview resident Sally Ryder said the path along the river was a safe and scenic route for residents who otherwise "have to dodge traffic and parked cars through our hilly and winding roads in order to enjoy the great outdoors." Speaking on behalf of the Columbia Association, which runs its own system of connected pathways, Jane Dembner said the path is a critical connection point to Downtown Columbia. Resident Herman DeLang said the proposed alternative doesn't make sense and is "dangerous." "That path is a critical component of the overall plan," DeLang said. 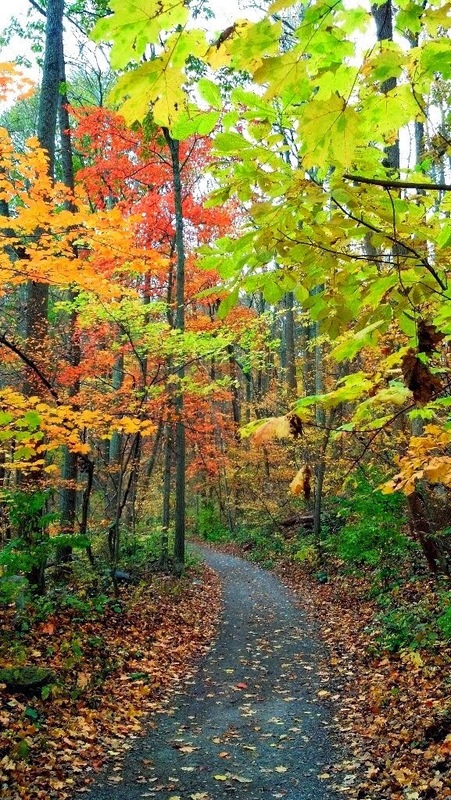 "We have many paths that run right behind people's yards. ... I'm not sure why there's a NIMBY attitude for Allview residents." Roughly 160 people signed a petition opposing a path in the Allview community, according to Columbia resident Ted Markle." As a regular user of this path I have a comment on the proposed path being dangerous when the area experiences some flooding. The existing path on the other side of the river is in a wetland that does get covered with a few inches of water after a heavy rain. I have been on the trail when it is "flooded." The water is not rapidly flowing and makes for an interesting opportunity to see how a wetland works to minimize the impact of the heavy rain. The only time that it might be dangerous is if you decided to jump into the river for a swim. As a homeowner who has a path 30 feet behind my property I think the recreational value of our path system far out weighs my minor loss of privacy caused by the path. As a frequent walker, jogger and biker on our paths I have seen first hand the dangers of multiple users of our paths. Having each group sharing our paths requires courtesy and respect from all users. The group with whom I have a problem is the bikers who go too fast on our paths. 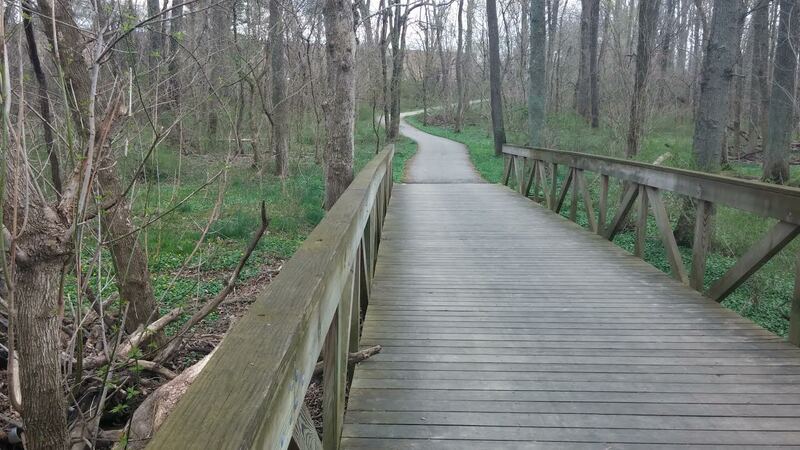 Our paths are designed for slow and moderate speed biking. Biking at 15 miles an hour and faster is dangerous on most of our paths. There are too many blind corners and too many children on our paths to go that fast. Here is a blog post where I discussed this issue. "On Monday afternoon around 1:30 pm, my daughter's best friend was hit by a cyclist on the path around Lake Elkhorn. The guy was on a red bike and wearing cycling gear - predominately red/white with a silver helmet. Unfortunately, I have few other details about him beyond that, but we know he was riding a "racing" (road) bike and dressed accordingly. The collision occurred between the dam and the dock on the north side of the lake, and the guy was headed east towards the dock. The girl who was hit by this guy broke her femur and had to spend the night in the Hopkins trauma center. She's now adjusting to spending the next few months in a cast that's as big is as she is. She's four, by the way, and her fifth birthday is Monday April 4th. Talk about timing. The family filed a police report and the Columbia Association is aware as well. Needless to say, our friends are looking at considerable medical bills, to say nothing of the headaches of having such a young girl confined to a cast for the next several months. We have heard from another friend who witnessed a guy with a similar bike/kit riding in a similar manner -- aggressively -- around Centennial Lake. We would obviously appreciate any information you may have about his identity. I imagine his bike sustained some kind of damage -- at the very least the wheel is likely out of true -- so perhaps someone at a shop will see a red bike come in for service. Someone on another email thread about this generously offered to send a card to the girl, which I think would be a fantastic idea. I would be happy to collect and deliver any cards or gifts. Finally, I know most of us in this group know better, but it doesn't hurt to always remember that along multi-use paths like CA's, we -- the bike riders -- bear the greatest responsibility for safety. Just as we rightly admonish people who drive carelessly on the roads we ride, we have the potential to be the careless ones on pathways. Which is to say there is no Strava glory in a KOM along a popular walking path. I love riding these paths as much as anyone—especially now with my daughter—but the obligation is on us, more than pedestrians, to keep everyone safe. Alerting folks to your presence is obviously smart, but that is not enough. " The problem is generally one of young male bikers. Most never call out when passing and have little awareness of how dangerous their riding is to other users of the paths. 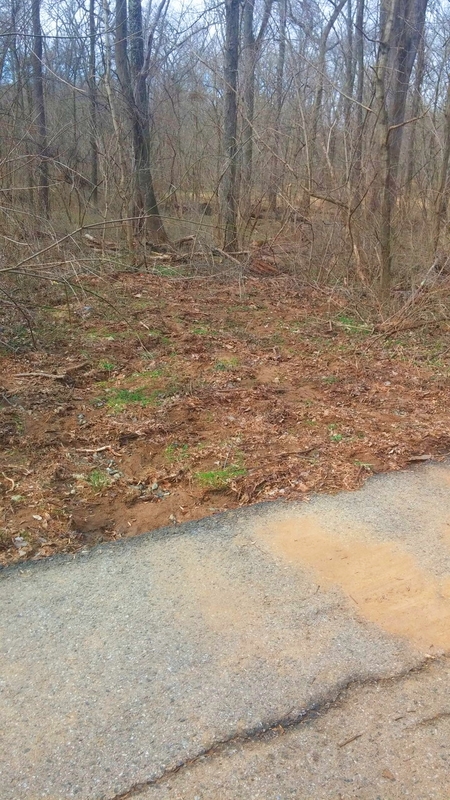 I would urge the Columbia Association to look at the issue of path safety. 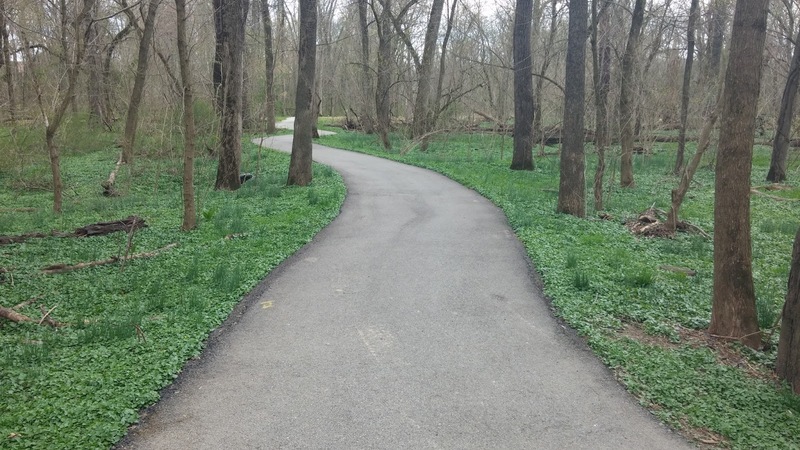 Options like center lines on our wider paths, signs warning of blind corners, clearing brush and trees to cut down on obstructed views and other measures to slow bikers and prevent accidents with walkers. Here is a blog post which highlights some of these suggestions. One of the fun objects to see in our night sky is the Space Station pictured above. It appears as a large round circle in the sky moving across the sky. Depending on the angle of the Station it can even appear as a line moving across the sky. Below is a picture of what it looks like. It will be the brightest object in the sky (except the Moon) and moving across the sky. Tonight (Wednesday March 30th) it will appear at 8:55 pm starting in the Southwest sky and moving higher in the sky to the East North East sky. If you have a telescope, a pair of binoculars or a telephoto lens you can see more of the outline of the Station. Here are the sightings for Columbia. 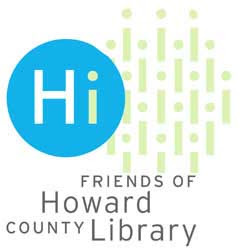 "Beginning April 1, Howard County Library System's Central Branch will close for renovation. Please note the following dates related to the renovation. We apologize for any inconvenience this may cause. March 14 - Last day to designate HCLS Central Branch as a pick-up location for reserves placed via the catalog. Please pay close attention to the return address of your Items Being Held notice so you know where to pick up your reserved item. March 29 - Unfilled requests will be changed to a pickup location of HCLS East Columbia Branch. Items already being held can still be picked up at Central through March 31. March 31 - Last day to pick up held items at Central Branch. Beginning April 2, any remaining held items can be picked up at HCLS East Columbia Branch. Beginning April 1 - Central Branch closed for renovation. April 2 - Central reserves available for pickup at East Columbia Branch (6600 Cradlerock Way, Columbia, MD 21045). Select Requests from the menu on the left. Check the box to the left of the titles you wish to pick up at a different location. Select a new pick-up location from the dropdown list. July 2016* - HCLS Central Branch re-opens. *Date subject to change. Visit http://hclibrary.org/locations/central-branch/ for updates." "The East Columbia Branch will be completed in two phases, with demolition of the previous administrative office area already underway while the branch continues to be open. The next phase will involve closing the branch to the public (see below). The East Columbia Branch renovations will double the space for quiet study areas (3 rooms to 6), and triple the meeting room capacity. The new teen center (TeenUp!) will include a Teen Time Classroom, HiTech Classroom, Homework Club Classroom, and Student Design Center (dedicated space, complete with work counters and readily available project supplies where students can create and collaborate on assignments and projects). East Columbia’s lobby and entryway will be completely transformed, offering a new and welcoming experience for branch visitors. A design highlight will be a gathering area, replete with a focal piece of unique artwork, in the space currently occupied by the research desk. Gas for $1.30 a gallon in Columbia? Bet I got your attention on this subject heading. Stay with me on explaining the heading. Have you noticed how fast the cost of gas risen in the past few weeks? It seems like we are at the mercy of the oil companies on what we have to pay at the pump. So taking things into my own hands a couple of weeks ago I decided to try an experiment to see if I could have more control over what I pay for a gallon of gas. You say we can't control that? What follows is my attempt to take some control of the price. A few months ago I bought a Toyota Camry that has a fuel saving system called "Eco." I had watched as the Eco light would go on and off depending on how I drove. When I accelerated quickly the light would go off and then come on when I reached my desired speed. The rate at which I accelerated determined how long the light would go off. So I decided to try an experiment and turn the Eco light off and drive for 100 miles with the light off. I can tell the average gas mileage that I got during that time on my dash. I averaged 23.1 miles a gallon driving normally with the light off. Next I reset the trip computer and turned back on the Eco light. Trying to keep the Eco light on as much as possible I wanted to see what my average gas mileage would be. Accelerating slowly, maintaining a constant speed and slowing down when I approached a red light I found I could keep the Eco light on about 95% of the time. I couldn't help but notice how often other drivers would try and pass me when I accelerated at a slower pace. I usually caught back up to them waiting for the next red light. Average mileage per gallon this time was 29.7 miles a gallon. A 29% savings in gas usage. So when I filled up at $1.93 a gallon and saving 10 cents by using my credit card that gives me 5% cash back I was at $1.83 a gallon. By using the Eco light I saved another 53 cents (29% less gas used a gallon) a gallon bringing down the cost of a gallon of gas to $1.30. Of course this whole discussion on what a gallon of gas costs is mostly related to the type of vehicle we drive and how we drive. Drive a Prius and you pay a fraction of what you pay per gallon to drive a Toyota Tundra truck or a GM Denali. I am always amazed when I see a GM Denali with only one person in the vehicle. Talk about overkill. 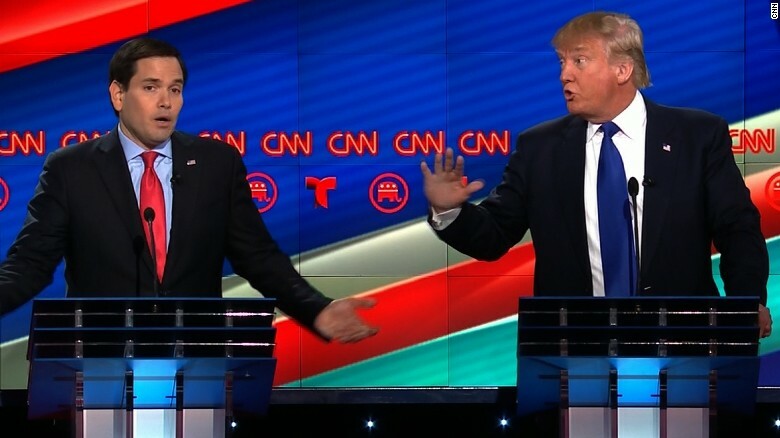 2016 Rubio and Trump debate the adequacy of Trump's manhood. Maybe it is time for a woman! It just got worse if that was possible. Today we await (?) the new product rollout from Apple. Sounds now like just updating of their existing products. Do we need a slightly upgraded IPhone? We are used to Apple coming up with the next breakthrough in digital appliances but the next one might be a bracelet made in Israel. Should be available next year and priced around $400-$500. Check it out. Sometimes we forget how unique Columbia is with so much nature all around us. And then we are reminded of the beauty of our community like the sunrise this morning over Lake Elkhorn. Even the Lake beaver was enjoying his breakfast along the shore. And the cranes that make the Lake their home. It seems that pizza is still America's favorite food by the number of new pizza places that are opening in our area. A new one opens in Columbia today. I am not sure how good a pizza can be if it is made in 5 minutes but I will try it and see. "Pie Five will set up shop in Dobbin Center where Baja Fresh used to be. At Pie Five, diners create their own personal pizzas by selecting ingredients including crusts, sauces, cheeses, meats and vegetable toppings. Within five minutes, the pizza is cooked in the pizza oven and is ready to eat. The restaurant also offers salads and pie for dessert. 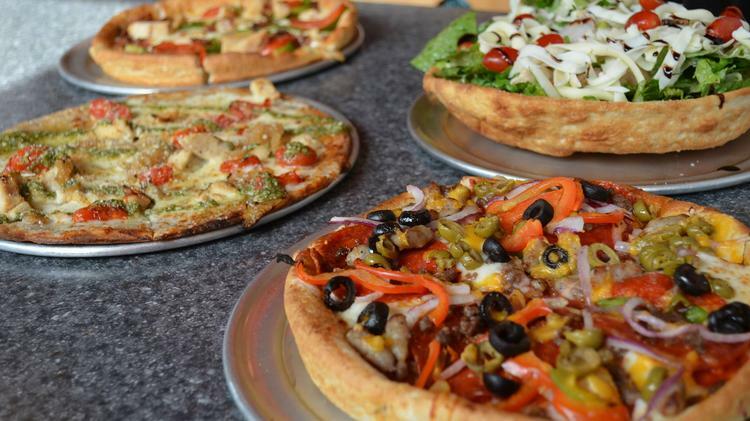 Pie Five is part of a franchise that has more than 400 locations under contract in 24 states. The local owner said he was excited about Columbia's newest addition. "Born and raised in Baltimore, I'm excited for the chance to open my fourth Pie Five restaurant in the area," Jeff Mengel, Pie Five Pizza franchise partner, said in a statement. "Once our guests taste one of our pizzas, they'll never go back to that old traditional pizza again." During the grand opening in Columbia, Pie Five will donate a portion of proceeds to The Living Legacy Foundation of Maryland, a nonprofit supporting organ and tissue donation. Pie Five will hold a grand opening celebration from 11 a.m. to 10 p.m. on Friday, March 18. 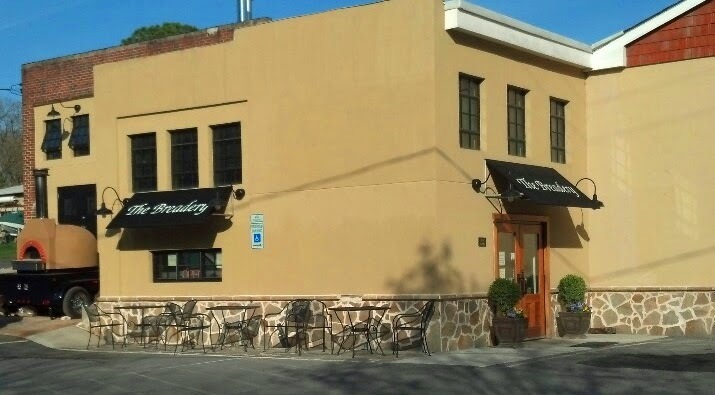 The restaurant is located at 6455-32 Dobbin Road in the Dobbin Center in Columbia." One of the newest Meetup Groups in our area is the Fit, Fun and Fifty Group that provides an opportunity to join with others over 50 in a wide variety of activities. 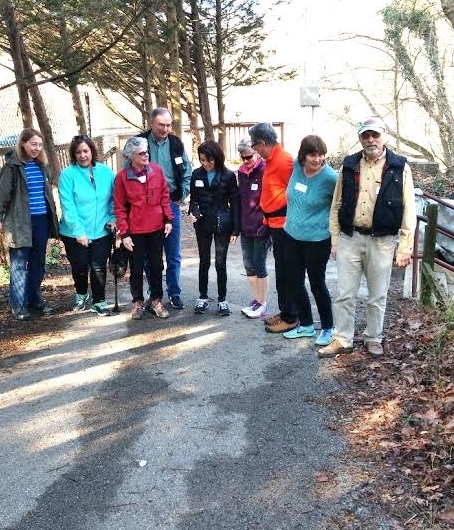 Yesterday this group met for breakfast and then hiked the Trolley Trail in Ellicott City. 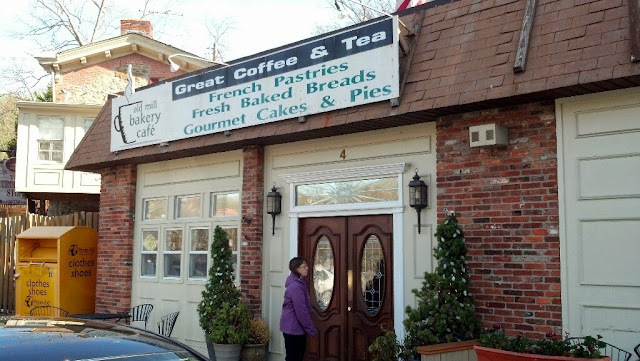 A stop at the Breadery along the Trail was also included. Bingo at the senior center is so passe. We often have trouble seeing exactly where our tax money goes. There is one unpopular fee (tax?) 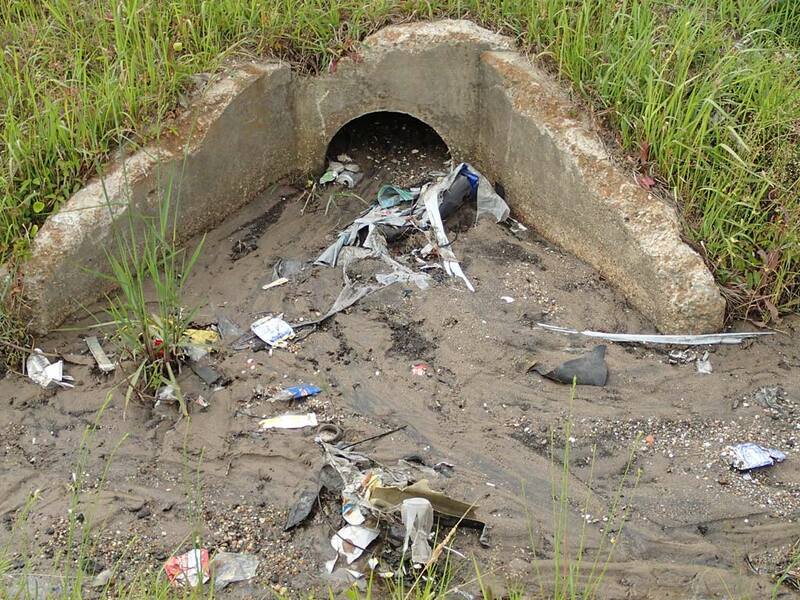 called the stormwater management fee that has been sarcastically labeled a "rain tax." Calling anything a tax stigmatizes it. Once you get past the political rhetoric about this fee you can see how it is designed to address an important environmental impact caused by development. When we build homes and businesses we create impervious surfaces and create storm water runoff that carries the water and soil into our streams, lakes and Chesapeake Bay. Walk around after a heavy rain and you will see runoff like shown above. Pictures below are ones I have used in past posts that show this problem. The stormwater from this building's parking lot was channeled in such a way to create a runoff problem. As a frequent user of this trail I have watched as after every rain the soil gets washed down this gully and across the trail. I reported this issue to the County using the Tell HoCo App. You can download this app on both Android and Apple phones. It allows you to send info on any problem for the County to address and even provides them with the geographic location of the problem. I have used this app a few times and the County is really good about addressing problems. The above issue is now being looked at as to who is responsible for this issue, the County, Columbia Association or the owners of the office building. Stay tuned. Politicians have so stigmatized the word "taxes" that they have used fees as a way to generate new revenue. Here is an old editorial from the Sun on this issue. 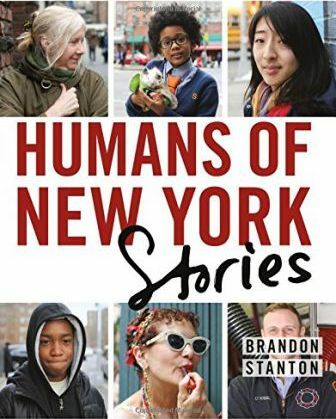 I just finished reading the book "Humans of New York." I hesitated saying "reading" because it really is a book of pictures with captions. I highly recommend this book if you want to see what an American melting pot looks like. 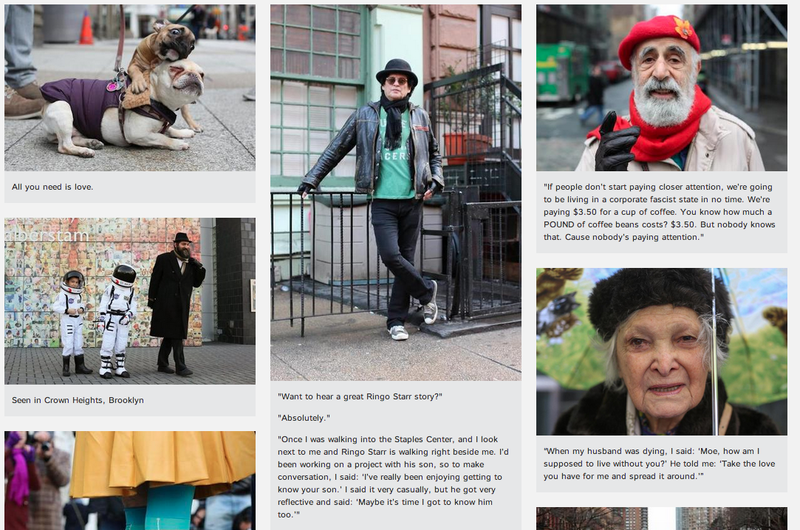 All of the pictures were taken of people in New York City and most look like areas of Manhattan. Even though most pictures have short captions some photos go into a little more detail about the person. Brandon Stanton started taking the pictures for a blog he was doing and it grew from there. Originally the blog would be just pictures but then he started talking with the people he photographed and condensed his conversation into a line or two. You come away from the book admiring the everyday struggles and stories that each of these people shared. Everyday we past people who have similar struggles that remain hidden from us as we pass. Just the brief time of taking a photo made enough of a connection that many of the people opened up about where they were at in life. The Facebook page link for the stories is here. 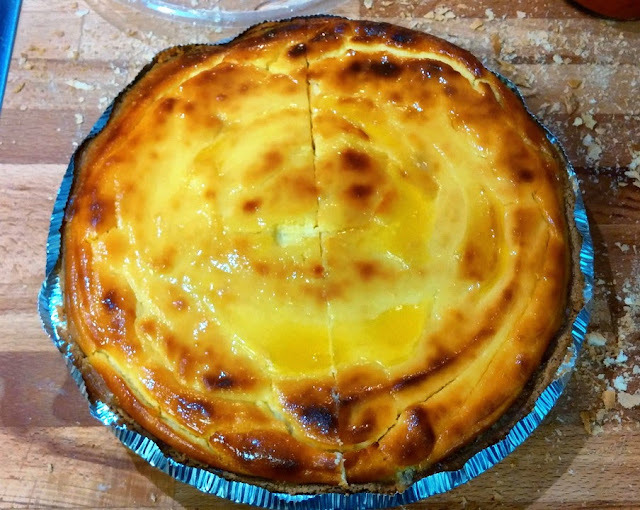 A "pie" for "Pi Day"
The Rotary Clubs of Howard County are hosting the sixth annual Soup’r Sundae, a family event featuring unlimited soups prepared by local area restaurants, bread and ice cream, which is being provided by Nestle Dreyer’s Grand Ice Cream. There will be music and entertainment for children. The event is a fundraiser for Grassroots Crisis Intervention Center on Sunday, March 13, from noon-2 p.m., at Wilde Lake High School, 5460 Trumpeter Road, Columbia, MD 21044. Howard County General Hospital is the presenting sponsor. Admission is $20 per adult and $5 per child under 12. Today the new Canadian Prime Minister is welcomed to the White House. Is it to late for him to get into our Presidential race? If only we could undo the "born in the United States" problem. How many of us have sat at a job that made sense for us when we were young and starting our careers and yet didn't satisfy our need to do what we love? For one local merchant this has meant trading a life in a scientific career for one that followed her love of art. 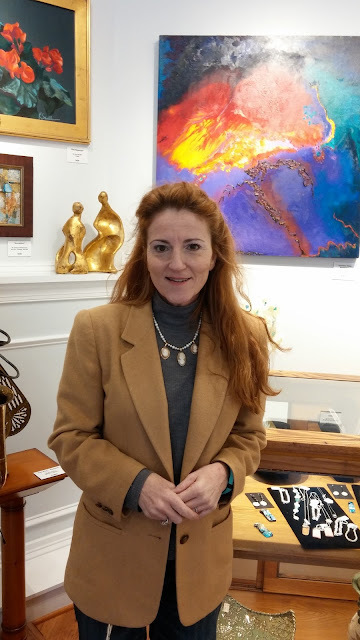 Last week I had a chance to visit with Robin Holliday at the HorseSpirit Arts Gallery on Main Street in Ellicott City. This gallery has been open for 4 months. The prices in the Gallery range from $5 to $9,000. Robin said that the criteria she uses for selecting an artist is that they are talented and a nice person. 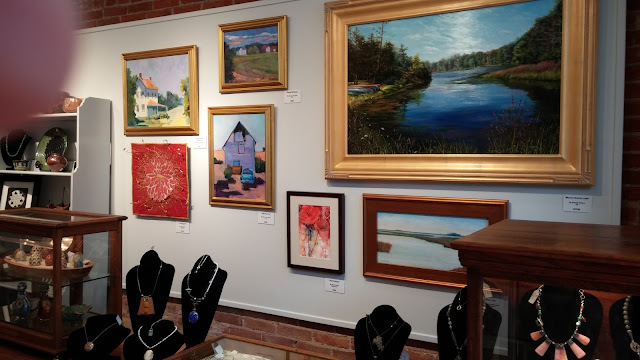 If you read my Monday blog you have noticed that there are some interesting stories among the merchants along Main Street. I met Robin at our last blog party at Nalley Fresh and learned that she will be hosting a future blog party. 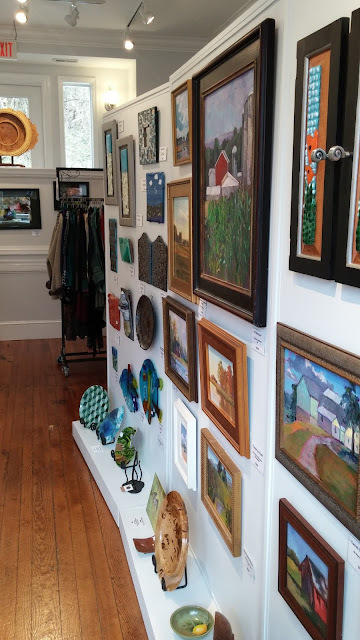 Robin has a variety of artists in her shop from those who do sculpture, to jewelry to photography and paintings. Paintings are by far her most common art which she sells. 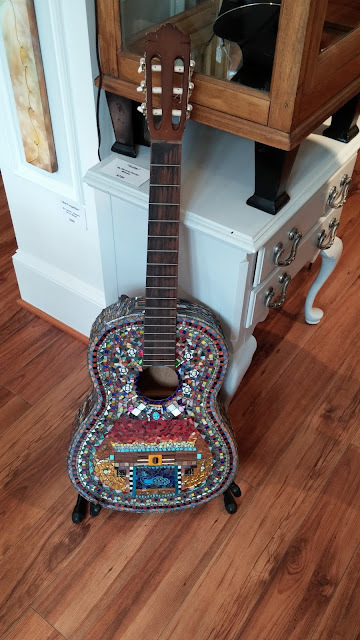 She does frequent events showing the art work of local artists. Her next event is March 13th from 4-6 pm featuring art of Yolanda Koh and Andrea Sauer shown above. Light refreshments served. To someone like myself who is not very sophisticated in their knowledge of art I was fascinated at the creativity of many of the artists. 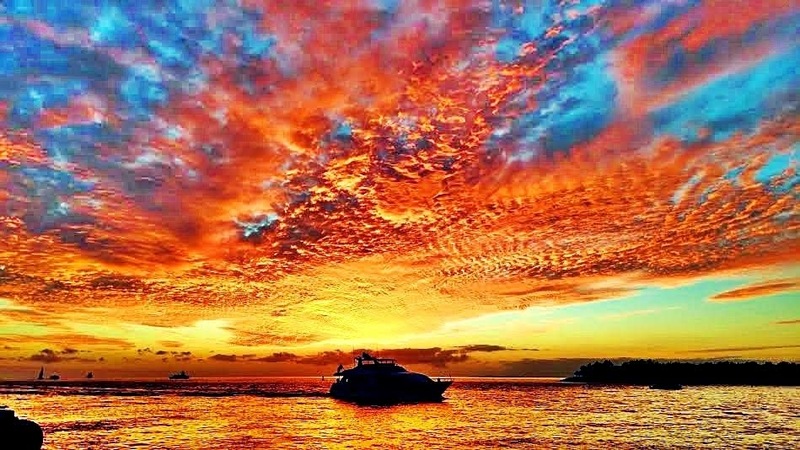 The picture above is a photograph that was printed on watercolor paper to give it the effect of being a painting. "Joyce has found that people respond to fabric – it is familiar and tactile and warm. But what Joyce values most about fabric is its versatility. It can tell so many stories, so many feelings. 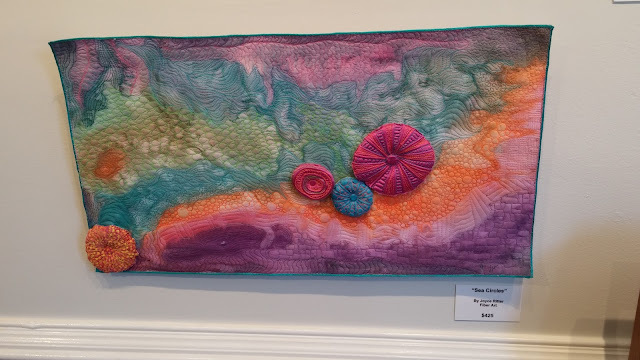 Joyce’s series of Door Quilts morphed into a meditation on death and dying which helped Joyce’s friend face into her death by cancer. 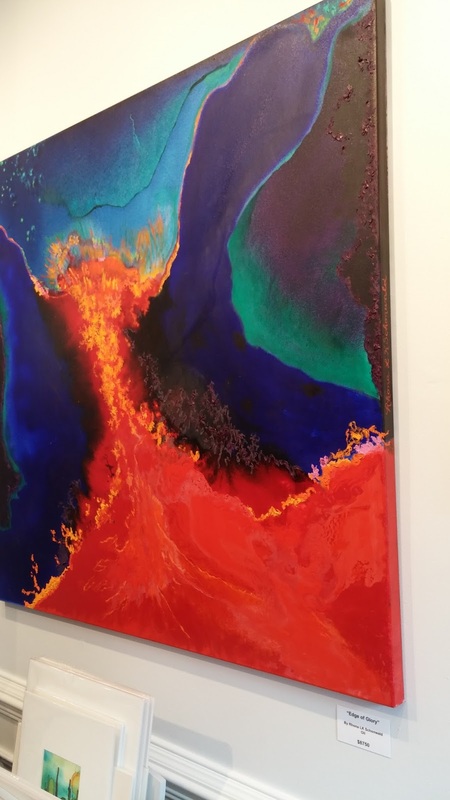 Joyce was transformed by the experience and her series of abstract pieces about creativity gave voice to both the problems and gratification of creating art." "Wendy has studied with various teachers of traditional fine arts media, has worked as a graphic designer, and was academically trained in the sciences before her exposure to Ukrainian eggs decorating. 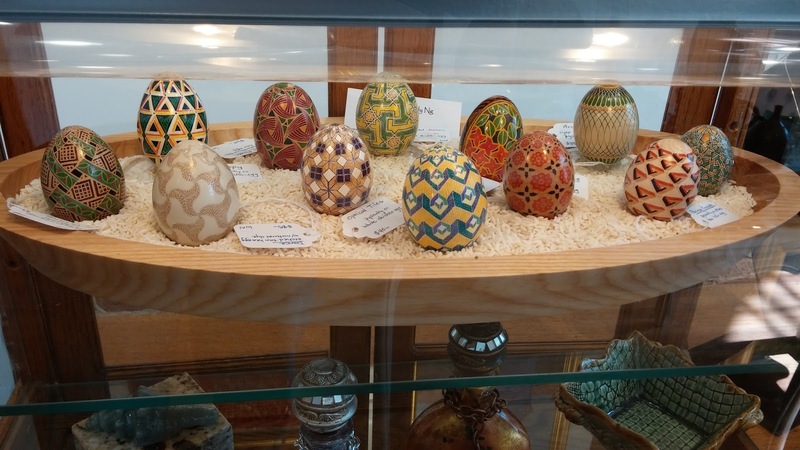 Since decorating her first egg with Ukrainian pysanky (wax resist dyeing technique) in 2004, she has decorated many eggs with traditional Ukrainian designs and is exploring designs influenced by her training in the arts and the sciences. Wendy is interested in unusual eggs: odd shapes, unusual colors, rare sizes as well as eggs from chickens, ducks, geese, guinea hens, turkeys, pigeons, emus, and ostriches. The eggs themselves often serve as the source of design inspirations." 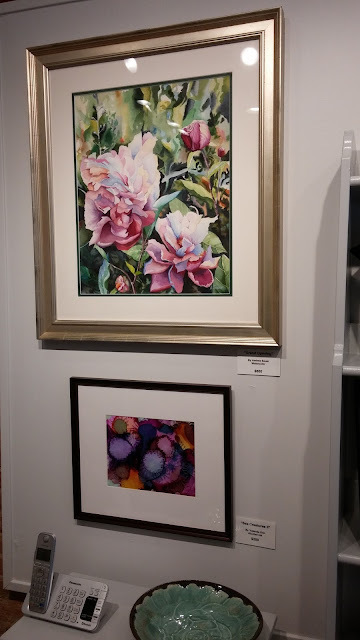 "My works play on emotions and draw from Nature, evoking serenity, sensuality, and joy. The relationships among colors of paint or forms in sculpture embody human emotions and interactions. My creations are reflections of life’s milestones, miracles, adventures, and triumphs. The interactions of colors in my paintings are designed to provide an escape from reality. Often, my paintings are designed to hang multiple ways to provide for more than one image. My three-dimensional works flow and undulate exemplifying Nature’s rocks, root systems, land contours, shriveled leaves, as well as the human torso. Working with clay enables me to capture the essence of those things that inspire me while exploring the sensuality of my chosen material." Above a musical instrument turned into a work of art.
" Ed’s schooling as an engineer has greatly influenced his work. Where he once designed large equipment that went on and in the ocean, he now designs his artwork not only for its appearance, but for its function and durability." So leaving the gallery I saw how many of us use art as a second act in our lives that adds to the richness of shared experiences. Second acts are so much more rewarding. 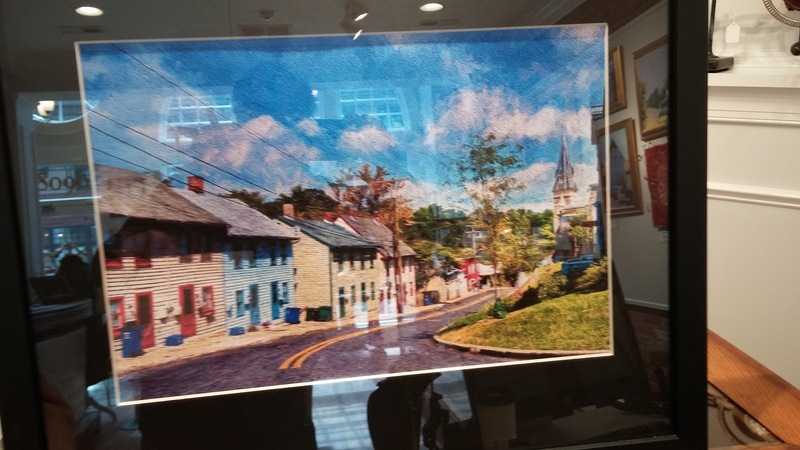 Last week I had a chance to stop by Main Street Oriental Rugs in Ellicott City. This store is owned by Mojan Bagha and sells rugs from a variety of countries. 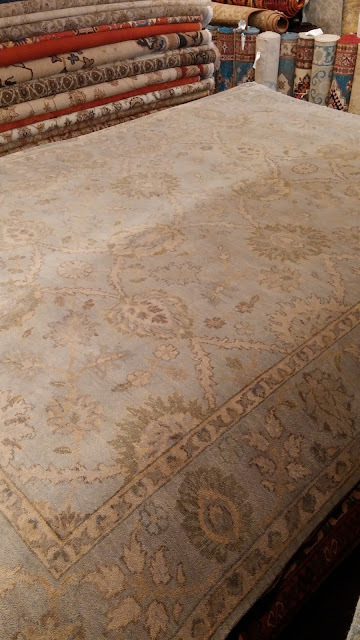 Most of his rugs are from Iran, Pakistan, China, Turkey, Russia and India. This area of the world was once on the silk trade route between Europe and the Far East. 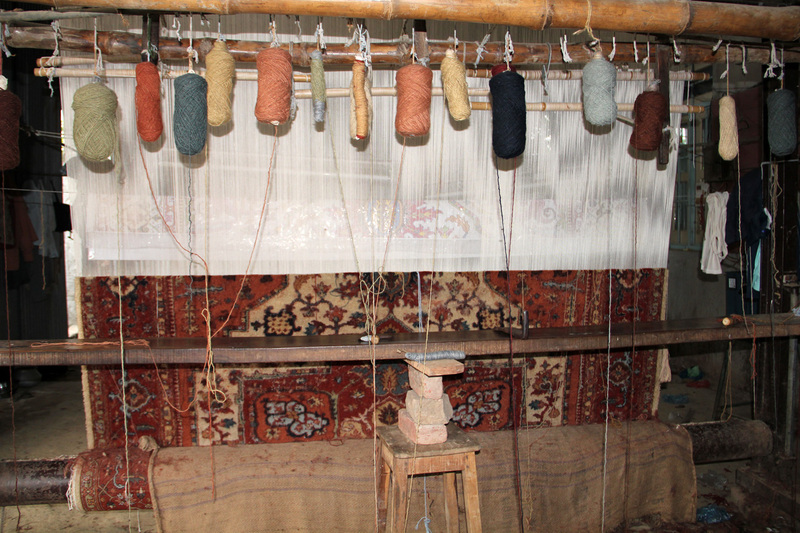 The trade in spices and rugs brought this region the customs of both areas. After minerals the production of rugs from some of these countries is the second largest source of income. Unlike many of the other oriental rugs sold at large retail stores, like Home Depot, his rugs are handmade. 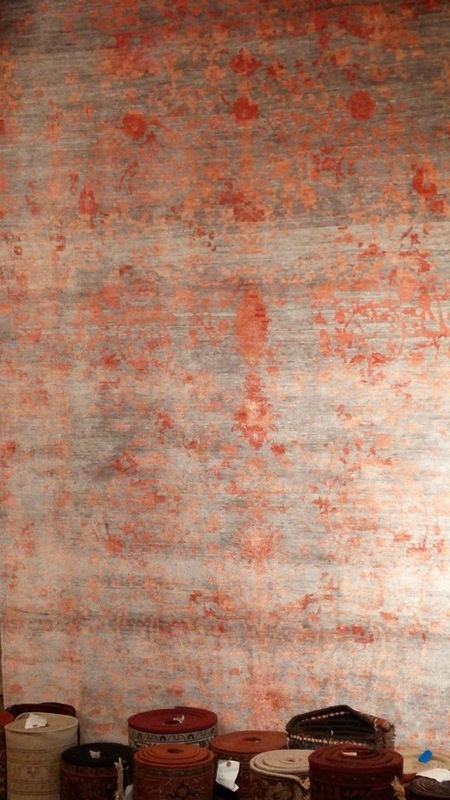 Handmade rugs are more durable and last longer than the machine made rugs. The low labor costs of these countries is the reason why the handmade ones only come from this area. His rugs run from $500 for smaller rugs all the way up to $15,000 for the largest rugs. When you think of oriental rugs you probably think of patterns similar to the ones shown above. In the most traditional countries like Iran and Pakistan these are the patterns you find. 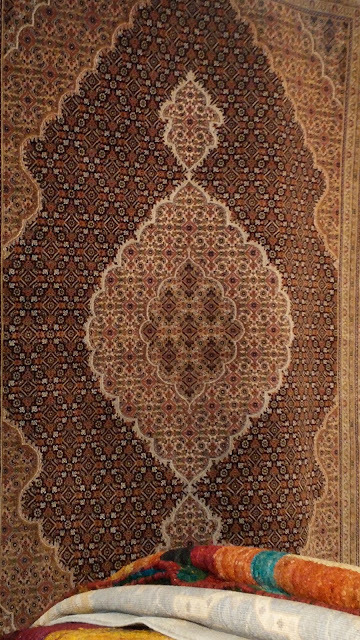 Countries like India are more willing to do non traditional patterns like the one shown above. It is an indication of the more open society in India. India still has a society that was influenced by the British and there willingness to more modern designs is a reflection of that influence. 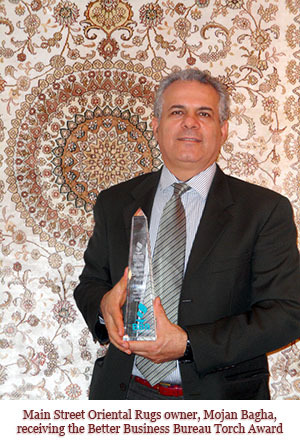 Mr. Bagha came to the United States to go to school and stayed here after the Iranian Revolution because of religious persecution against people of the Baha'i faith in Iran. Most of his family have left Iran for other countries around the world. With the use of the internet many younger Iranians born since the Iranian revolution are interested in greater contact with the West. The recent elections in Iran seem to possibly point to a more open country in the future. 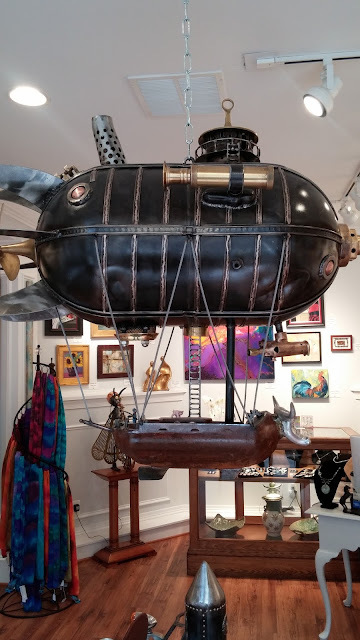 With the Spring weather just around the corner is might be a good time to stop into this interesting shop at 8290 Main St. in Ellicott City.